I will be the first to admit I am my own worst critic. My mother is a Debbie Downer and can only see the bad in every situation, and sometimes, I tend to see things the same way. My friend Leah came over for a visit, and while we were chatting, I confessed to her that I felt like I should have accomplished more in my life and progressed further in my career. “I don’t know Mel, you look like you have it all to me,” she said. I quickly took inventory of everything I had that mattered – a good job, financial security, a loving husband, a healthy kid, family who love me and a beautiful home. In contrast, Leah was going through an ugly divorce, estranged from her family, and stressed out over how she was going to support her 2 boys on a teacher’s salary. In a split second, my entire perspective changed, and I became very grateful for everything I had. My workaholic, investment banker cousin came over to dinner the other night. She’s one of those typical overachieving, bay area types – PHD in organic chemistry from Duke and MBA from Wharton. She’s usually jet setting, flying to Asia or Europe for work or play and posting pictures of her adventures on Facebook. I can never keep track of that girl. She lives a life I once wanted when I was young and ambitions. My life in comparison is quite mundane. I don’t have much to say on Facebook and end up reposting other people’s pictures of cute kittens. Over a bottle of wine, she looked me straight in the eye and said “Your life is a fantasy come true.” She’s right. It’s so easy to get distracted by the things we don’t have that we forget to show gratitude for what we do have. Why can’t we be happy with what we have? Why can’t good enough be good enough? 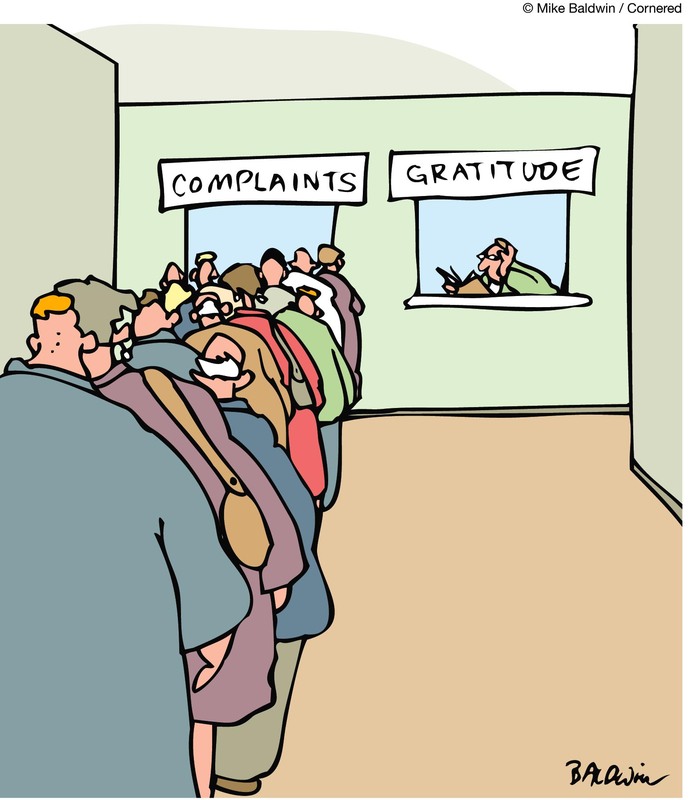 It’s a vicious circle we can end simply by practicing gratitude. I challenge you to take a good hard look at your life, and you may find you already have everything you need to be happy.